Cryptanthus Bivittatus is a member of the Bromeliaceae family of tropical plants. It has many common names such as starfish plant, earth star and Red Star Bromeliad. The bromeliad is a plant commonly grown in terrariums. This pretty bromeliad is native to Brazil and has a lovely star like shape made of stemless rosettes of leaves. It is fairly easy to grow as long as you remember a few tips. The plants can have ten to twenty leaves, each with tiny teeth or thorns on their wavy margins. The leaves taper to a point at the end which gives the plant its pretty star shape. The plants can be striped in both ivory tones and various shades of red and pink. The plant will grow to about 6″ tall and 15″ wide. It is a moderately slow grower. Cryptanthus Bivittatus does best in a well draining soil, amended with lots of organic matter. It prefers a slightly sandy soil. Place Red Star Bromeliad in a slightly shady spot. Too much sunlight and heat can make the leaves wither and shrivel up. Some morning and late afternoon sun with protection from midday sun is ideal. If the plant has too much shade, the color of the leaves will be diminished. Small white flowers appear in the center of the rosettes of leaves. The flowers of the plant are somewhat insignificant. 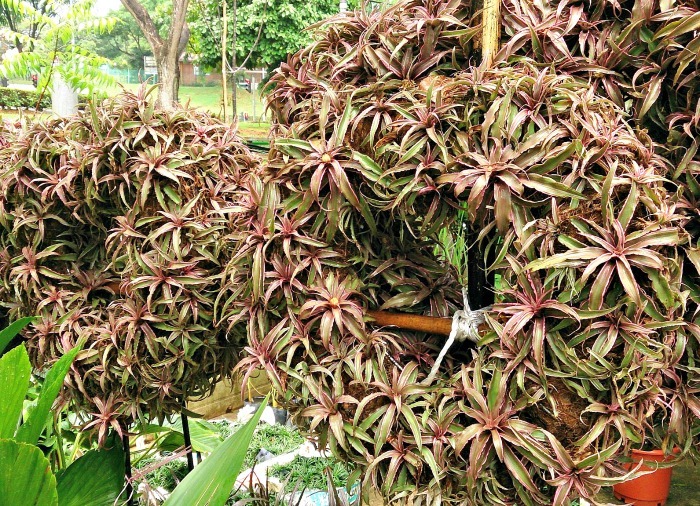 This bromeliad is grown more for its leaves than the flowers. Many bromeliads will re-bloom after flowering, but the earth star acts differently. The mother plant will slowly die back after flowering, while sending out pups at the same time. Cryptanthus Bivittatus is drought tolerant once it is established. Unlike other bromeliads that have a “cup” that holds water, red star bromeliad does not have this feature, and must be watered from the root area. Water lightly when the soil is dry to the touch. In very hot climates, the plants does best with regular watering. Fortunately, the plant will send out small plants, called pups, that form at the base of the plant. These will replace the original plant when it degrades after flowering. Just pull the pups off and plant them up. The plant is also propagated by division, making sure that each plant has a bit of the roots. 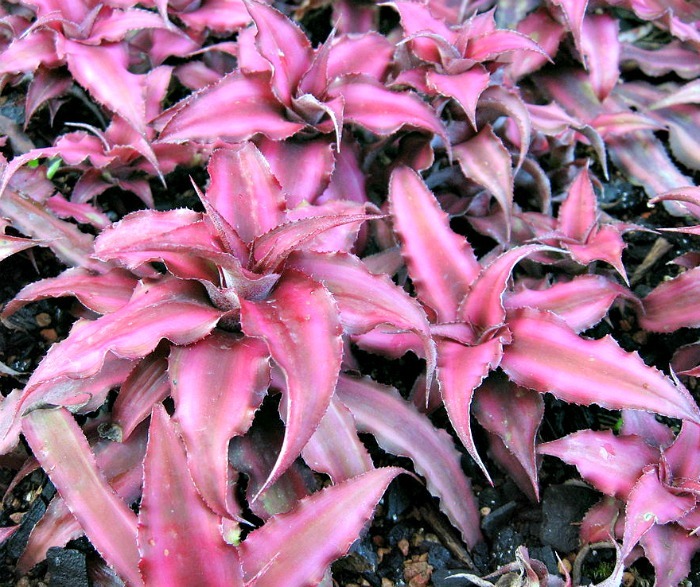 Red star bromeliads will grow from seed, as well. Germinate the seeds on a damp paper towel. 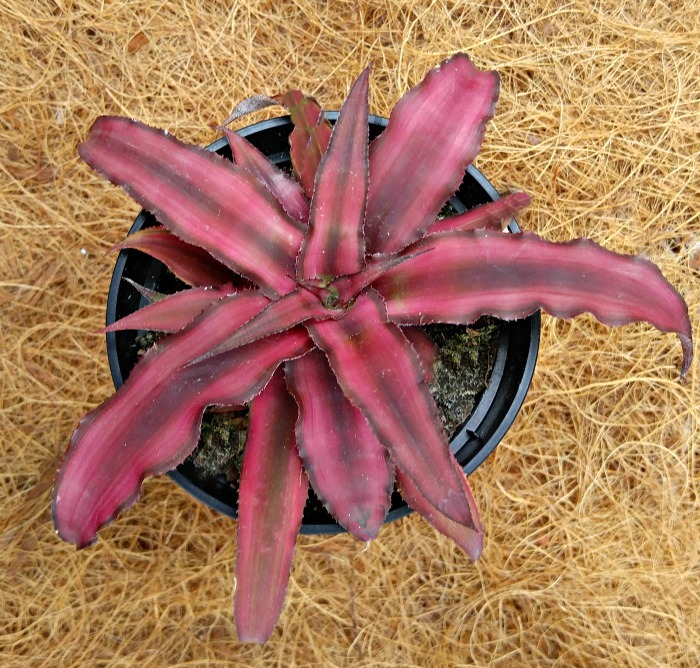 Red Star bromeliad is a tender perennial does best in the warmer zones – 10 to 11, and needs to be protected from frost, or the leaves will become scarred and unsightly. Earth stars like temps in the 55-65 º F range at night with daytime temps rising to the 70-90 degrees range. They can take a temperature as low as 34 degrees, but will not withstand a freezing. The plant makes a great indoor plant or terrarium subject. Give it a nice bright window in your home. If grown indoors, the plant will benefit from occasional misting to keep the humidity level correct. The plant type is an epiphyte, similar to air plants, but Cryptanthus Bivittatus needs to grow in soil. The plant also does well in tropical climates when grown outdoors in masses as a ground cover, allowing the pups to develop into clusters of plants. Bromeliad plants add an exotic touch when used as an indoor plant. 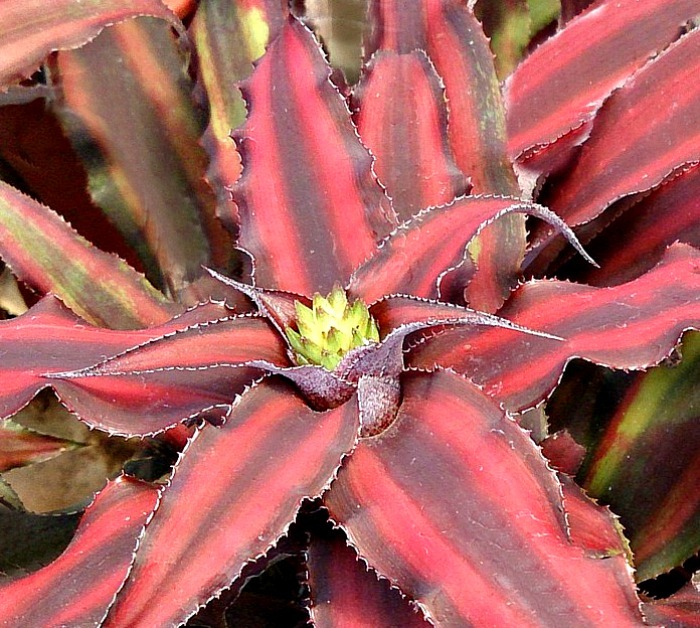 Growing Red Star Bromeliads brings interesting texture and color to the your home. These low maintenance plants are a great way to bring the feel of the tropics indoors.